Welcome to the website of the Japanese Canadian Cultural Centre of Montreal (JCCCM). 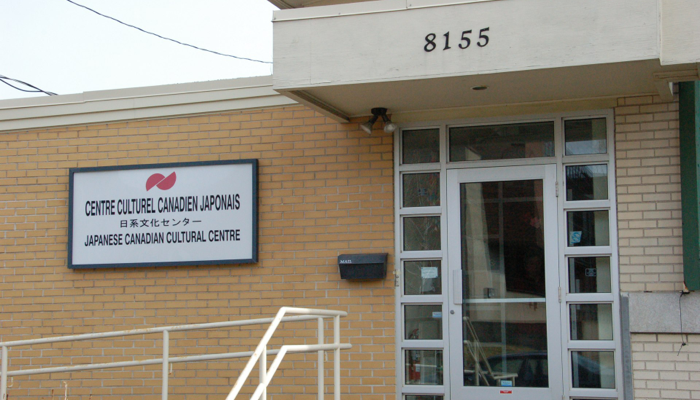 Formally established as a non-profit, community organization in 1975, the JCCCM serves as a meeting point for the Japanese Canadian community as well as for all those interested in Japanese culture in the Greater Montreal Area. In particular, the Centre provides a focal point where the unique history and cultural heritage of the Montreal Japanese Canadian community can be sustained, promoted, and shared by all, irrespective of cultural background. With the changing demographic nature of the community, particularly the influx of immigration from Japan (from post-war to the present) as well as a large interest from individuals of non-Japanese heritage, the JCCCM also offers and supports a variety of cultural, educational, social, and recreational activities to promote and develop a spirit of mutual understanding, appreciation, and cooperation between all facets of our diverse community as well as with the general public. The JCCCM’s office hours are Monday to Friday, 9 am to 4 pm. Free admission. Limited space. For more details, click here. Come and see our Japanese boutique, books, Tea Room, Japanese food, baked goods, 50-50 raffle and more! We will gratefully accept donations of baked goods, Japanese items and books, etc. Donations can be dropped off anytime during the office hours (Monday – Friday, 9 am – 4 pm). No registration required. For more details, click here. Due to popular demands, we only can accept upto 2 knives per person for JCCCM member and 1 knife per person for non-JCCCM member. For details, click here.